Fenty Beauty can do no wrong in our eyes. 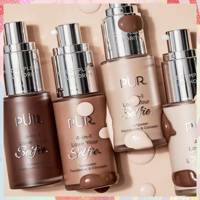 The pigments, the long lasting formulas, the inclusive range of shades are the sign of a truly modern makeup range, and the fact that RiRi is fronting the whole show makes it that much more special. Needless to say that every time the brand drops a new Matchstix, or Killawatt highlighter, the beauty world is instantly whipped into mass hysteria and pilgrimage to Harvey Nichols, currently the only UK stockist of the brand, quickly ensues. But now it seems the beloved beauty brand is about to launch skincare. *screams*. While rumours had been rumbling for a few months already, uncovered that Fenty Skin was registered on the public record of registered trademarks on 25th March. 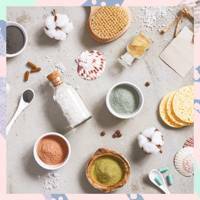 The trademarks lists specific product types including medicated and non-medicated skincare, soap, body care and personal care products, suggesting an extensive expansion of the existing range.